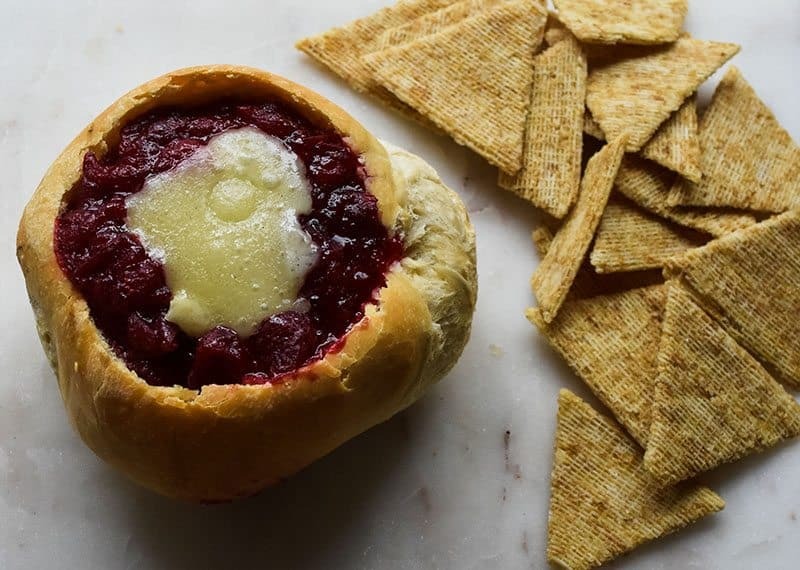 Baked Brie and Cranberries is an easy and delicious appetizer! Baked Brie with cranberries is a melty, sweet and salty, and delicious appetizer that is perfect for parties and gatherings. Try baking it up in a Rhodes Bake N Serv bread bowl like we did for the perfect party treat! 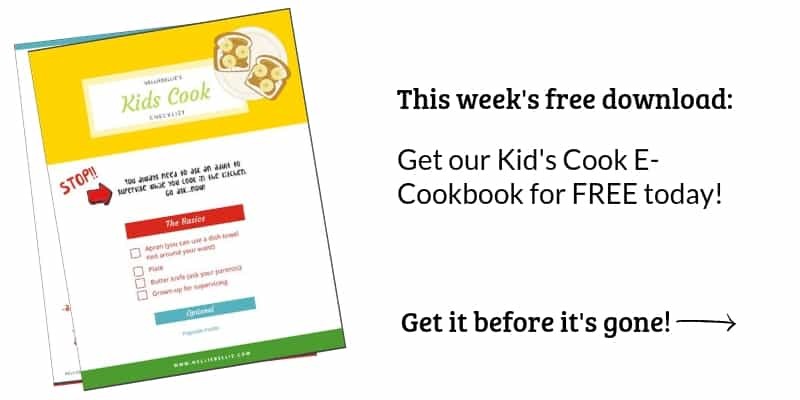 Rhodes Bake N Serv has partnered with NellieBellie to bring you this delicious recipe. Find our full disclosure here. Have you ever tried baked brie? It is absolutely delicious. Here in MN, we top ours with lingonberry jam in true Scandinavian fashion. 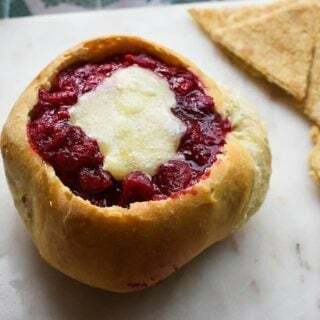 Most others across the country NOT from Nordic descent, however, top their baked brie with cranberries like we did in this recipe. Underneath that sweet cranberry jam is melty Brie. Soooo good! 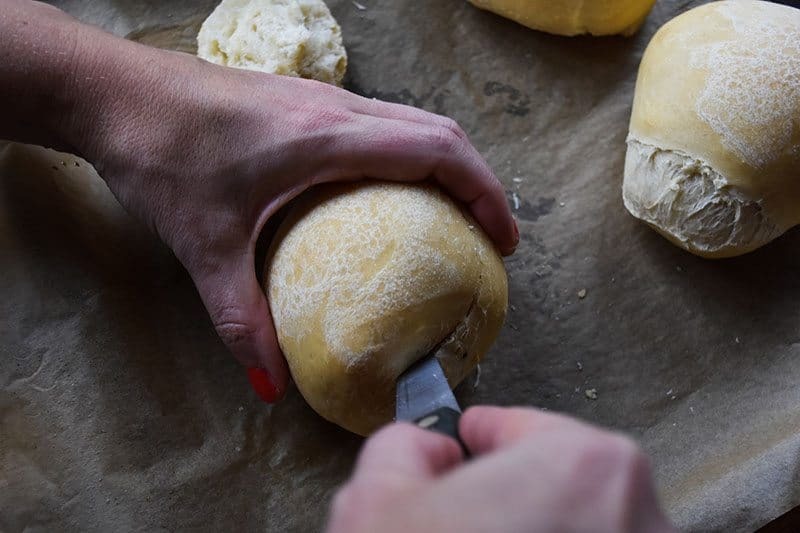 Let’s tackle the idea of homemade bread bowls, first. You might be getting nervous and ready to tell me that you aren’t able to make this because it is too hard or time-intensive. A busy mom’s secret weapon is Rhodes Bake N Serv. I use this product regularly and it is one of my best kept secrets for delicious cinnamon rolls, pizza dough, and lots more. 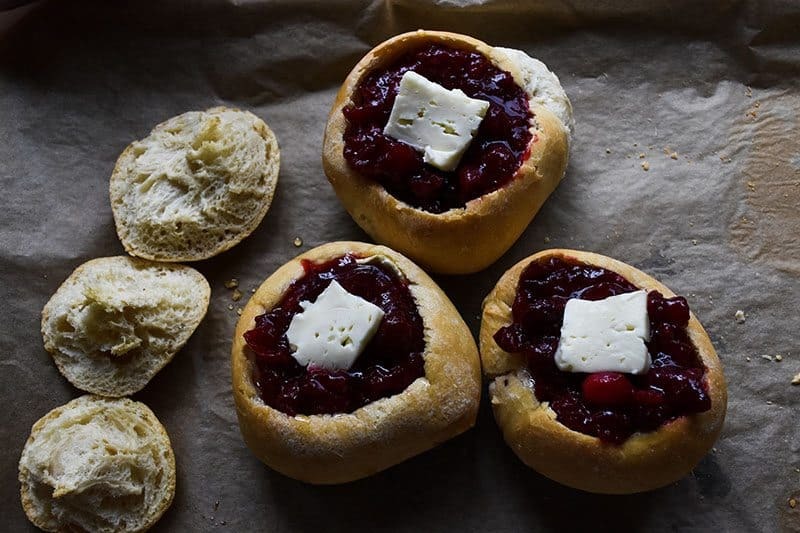 Including bread bowls, like these. In fact, as a child (the oldest of 10 for those of you that haven’t been following NellieBellie too long), Rhode’s bread was a favorite treat for us. My mom would buy Rhodes Bake N Serv frozen bread and assign one of us kids to open the package (yes, we usually used the entire package), put them in the pans, wrap them, and leave them overnight. We would bake them in the morning and have them with butter and honey. It was the best! I still ADORE Rhodes Bread and make it for my kids. 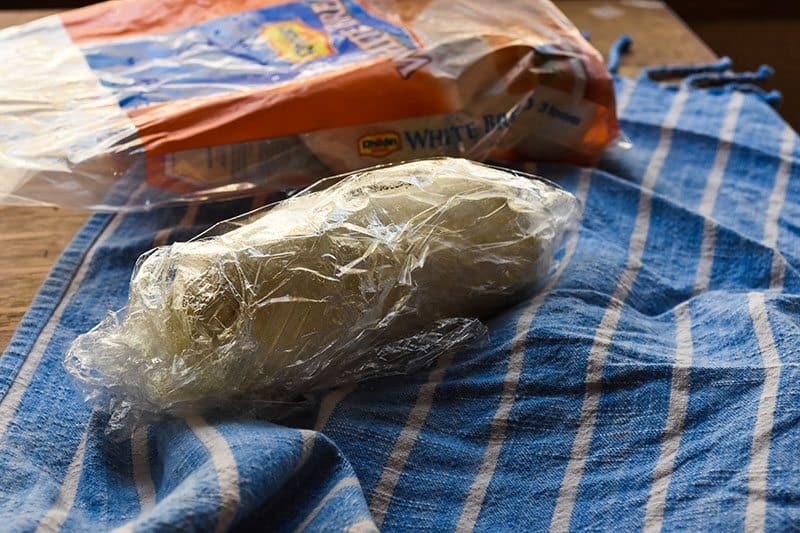 Simply thaw your dough in the fridge over-night. The next morning cut the dough into thirds, shape it into balls, wrap it in plastic and let the balls rise. When they are about doubled in size, let them bake according to the directions (NOTE: for baked brie I let mine bake until just done and not golden brown. That will keep them from getting over-baked when they go back in the oven with the brie). You could even have the bread bowls baked up the day before you need them. Just loosely wrap them in a kitchen towel and leave them on the counter until you need them. Wait to cut open their tops, if you can. Forming the bowls is a simple matter of cutting out the center of the dough. 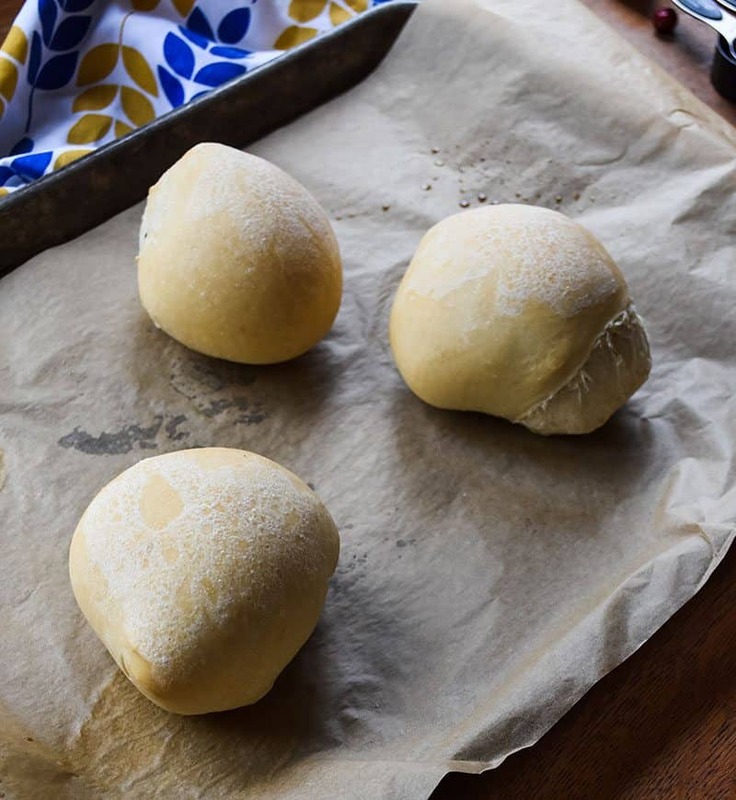 If the dough is soft enough, you can also press the dough inside down with a spoon to create an even larger serving space. 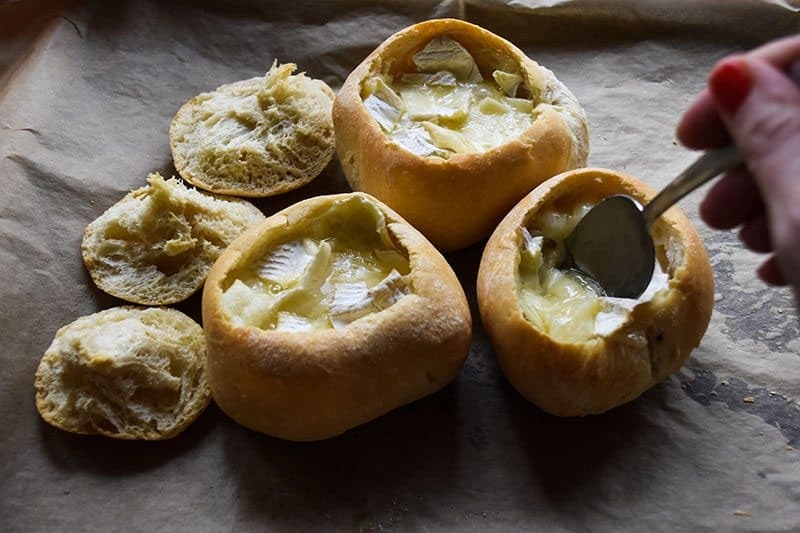 Fill the bread bowls with diced brie as full as you can, bake until it gets melty on the edges. Take it out of the oven and gently stir it with a spoon. Add more cheese and bake again, if needed. 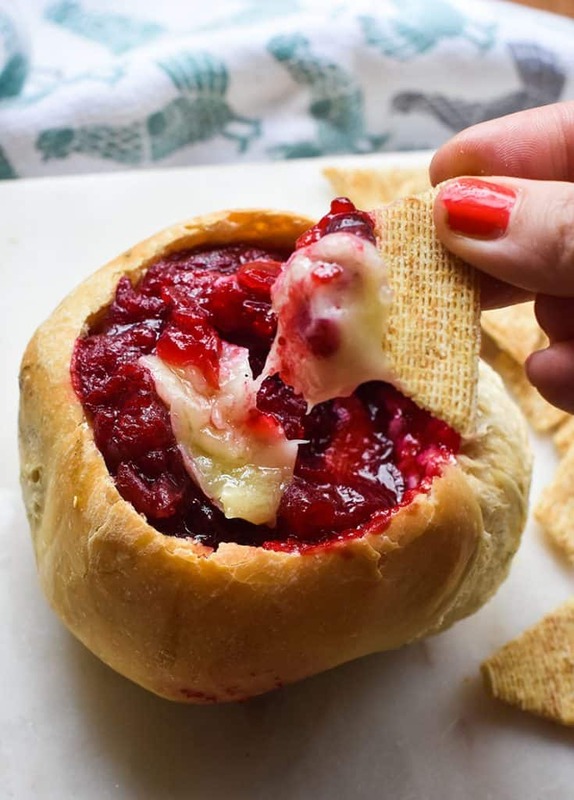 Top the melted brie with cranberry sauce as full as you dare, top with a wedge of brie, and return it to the oven for a few minutes to warm the cranberries and melt the bit of cheese on top. Usually about 5 minutes. Anyone that has baked brie knows what a treat this is. If you haven’t yet tried it, do so! It is an easy, delicious, and beautiful appetizer. I know I say to make this for parties and get together s but, the truth is, I make this for football games. And Tuesday nights. It is just too tasty, lovely, and easy to be restricted to special occasions. Thaw dough in fridge overnight. 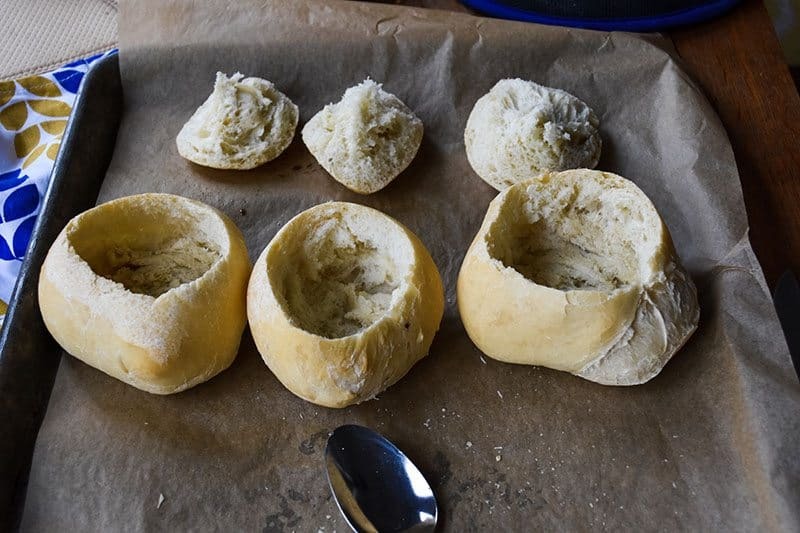 Divide the bread dough into thirds. Form into balls. Wrap in plastic wrap. When dough has about doubled in size, bake according to instructions. Note: For results like ours, bake until light but not golden. Cut hole in center of bread and scoop out bread. Put diced brie in center of bread. Bake until brie is melted around edges. Take out and stir, and put in again if necessary. Top with a drizzle of honey and cranberries. Wash with egg wash. Bake for 10 minutes or until golden brown and melted.